What is .NamPoHyu files virus? Is .NamPoHyu files virus a variant of the MegaLocker ransomware family? What kind of encryption does the .NamPoHyu files virus use? 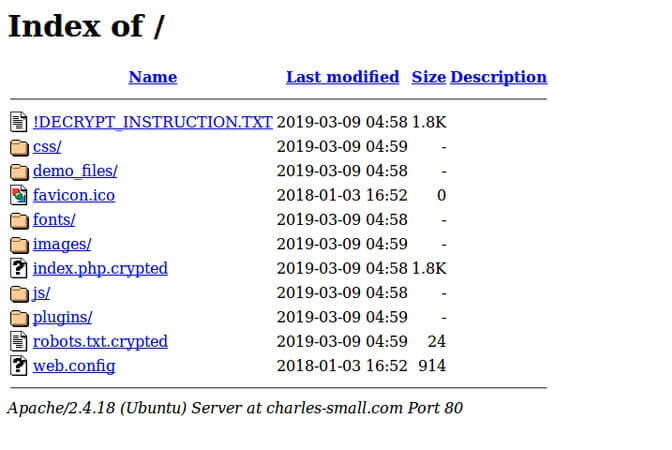 .NamPoHyu Files Virus is a cryptovirus that targets Ubuntu Apache servers, NAS storages, along with other servers used for various purposes, be it running a website (domain) or ones used for storing data. Mac and PC operating systems can be affected. The virus encrypts files by using the AES encryption algorithm via CBC (Cipher Block Chaining) and places a ransom note. With the ransom note, the cybercriminals that are behind the virus demand money as a ransom to get the files restored. Files will receive a custom extension, which is .NamPoHyu but other variants are not excluded from appearing. The .NamPoHyu Files Virus is called NamPoHyu Virus and it is actually a variant of the MegaLocker ransomware. Short Description The ransomware encrypts files on a computer system and specifically targets servers and network operated systems. The virus demands a ransom to be paid to allegedly recover the system and its data. 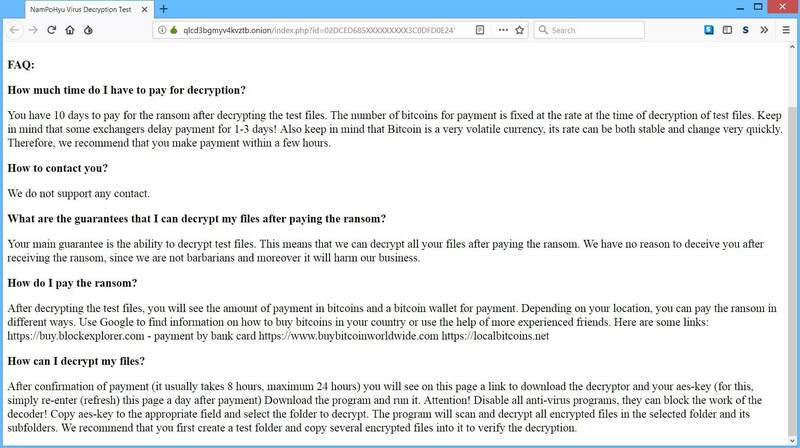 Symptoms The ransomware will encrypt files, may slow down the machine that is being encrypted, leave a ransom note with payment instructions and place the .NamPoHyu extension to locked files. User Experience Join Our Forum to Discuss .NamPoHyu files virus. .NamPoHyu Files Virus – What Does It Do? Users have contacted us and reported new information about the infection method of the .NamPoHyu virus. The report states that the NAS storage device of one user was infected remotely, due to the router accidentally placing the server in a Virtual DMZ, hence making the public IP open. The same user had checked his own WDmycloud IP on his router and also found out that the IP was in a DMZ. Thus, the NAS device was encrypted, but nothing else on the configured network. In addition, to try and get ahead of ransomware threats, you should read the ransomware prevention tips located at the corresponding forum thread. Remove MegaLocker ransomware efficiently. Follow the MegaLocker ransomware removal instructions provided at the end of the article. MegaLocker Ransomware family. The cryptovirus uses the AES encryption algorithm by using Cipher Block Chaining (CBC) with 128-bit ciphers. That encryption is sequential (i.e., it cannot be parallelized), and the message is padded to a multiple of the cipher block size. Every block of data is encrypted by using data from the previously encrypted block, making this a chain, hence naming the encryption method CBC. AES-CBC, operates by XOR’ing (eXclusive OR) each block with the previous block and cannot be written in parallel. This affects performance due to the complex mathematics involved requiring serial encryption. AES-CBC also is vulnerable to padding oracle attacks, which exploit the tendency of block ciphers to add arbitrary values onto the end of the last block in a sequence in order to meet the specified block size. That could explain why the ransomware is set to encrypt systems in strange hours in the night, so users could be less aware of an attack. .NamPoHyu Files Virus ransomware might make new entries in the Registry to achieve persistence, and could launch or repress processes of the operating system. Such entries are typically designed in a way to start the virus automatically with each boot of the operating system. All of your files were protected by a strong encryption with AES cbc-128 using NamPoHyu Virus. You can buy decryption for 250$. 2) Open the http://qlcd3bgmyv4kvztb.onion/index.php?id=23CAEC83B8FF4ED5A89A8E19B0D7E85C web page in the Tor Browser and follow the instructions. How much time do I have to pay for decryption? You have 10 days to pay for the ransom after decrypting the test files. The number of bitcoins for payment is fixed at the rate at the time of decryption of test files. its rate can be both stable and change very quickly. Therefore, we recommend that you make payment within a few hours. We do not support any contact. What are the guarantees that I can decrypt my files after paying the ransom? Your main guarantee is the ability to decrypt test files. This means that we can decrypt all your files after paying the ransom. We have no reason to deceive you after receiving the ransom, since we are not barbarians and moreover it will harm our business. After decrypting the test files, you will see the amount of payment in bitcoins and a bitcoin wallet for payment. Depending on your location, you can pay the ransom in different ways. Use Google to find information on how to buy bitcoins in your country or use the help of more experienced friends. How can I decrypt my files? Download the program and run it. Attention! Disable all anti-virus programs, they can block the work of the decoder! Copy aes-key to the appropriate field and select the folder to decrypt. The program will scan and decrypt all encrypted files in the selected folder and its subfolders. We recommend that you first create a test folder and copy several encrypted files into it to verify the decryption. 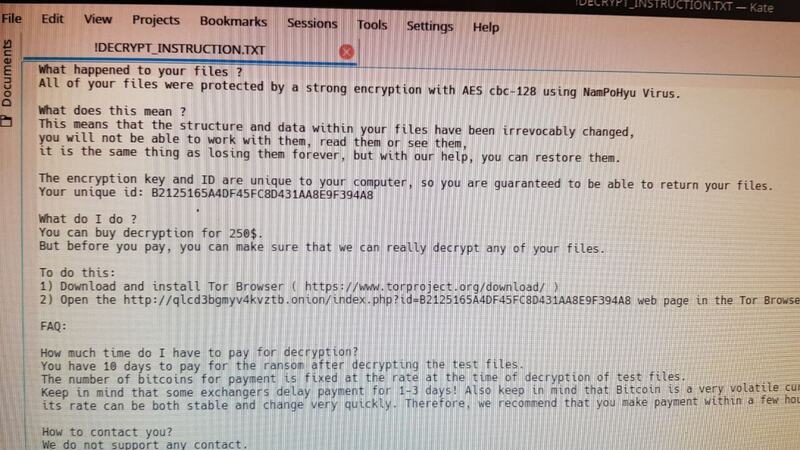 The ransom note of .NamPoHyu Files Virus indicates that your files are encrypted. You are demanded to pay a ransom sum to allegedly restore your files. However, you should NOT under any circumstances pay any ransom sum. Your files may not get recovered, and nobody could give you a guarantee for that. Adding to that, giving money to cybercriminals will most likely motivate them to create more ransomware viruses or commit different criminal activities. That may even result to you getting your files encrypted all over again after payment. If a server or a computer system was infected with this ransomware and your files are locked, read on below on how you can remove the cryptovirus and what you try to potentially restore some of your files. *Note: Some of the information used in this article has been provided by users, who became victims of the NamPoHyu virus. If your computer system got infected with the .NamPoHyu Files Virus, you should have a bit of experience in removing malware. You should get rid of this ransomware as quickly as possible before it can have the chance to spread further and infect other computers. You should remove the ransomware and follow the step-by-step instructions guide provided below. Threats such as .NamPoHyu files virus may be persistent. They tend to re-appear if not fully deleted. A malware removal tool like Combo Cleaner will help you to remove malicious programs, saving you the time and the struggle of tracking down numerous malicious files. Threats such as .NamPoHyu files virus may be persistent on your system. They tend to re-appear if not fully deleted. A malware removal tool like SpyHunter will help you to remove malicious programs, saving you the time and the struggle of tracking down numerous malicious files. Note! Your computer system may be affected by .NamPoHyu files virus and other threats. SpyHunter is a powerful malware removal tool designed to help users with in-depth system security analysis, detection and removal of threats such as .NamPoHyu files virus. 1. Install SpyHunter to scan for .NamPoHyu files virus and remove them. 2. Scan with SpyHunter, Detect and Remove .NamPoHyu files virus. Ransomware infections and .NamPoHyu files virus aim to encrypt your files using an encryption algorithm which may be very difficult to decrypt. This is why we have suggested several alternative methods that may help you go around direct decryption and try to restore your files. Bear in mind that these methods may not be 100% effective but may also help you a little or a lot in different situations. Note! Your computer system may be affected by .NamPoHyu files virus or other threats. Remove .NamPoHyu files virus by cleaning your Browser and Registry. Fix registry entries created by .NamPoHyu files virus on your PC. 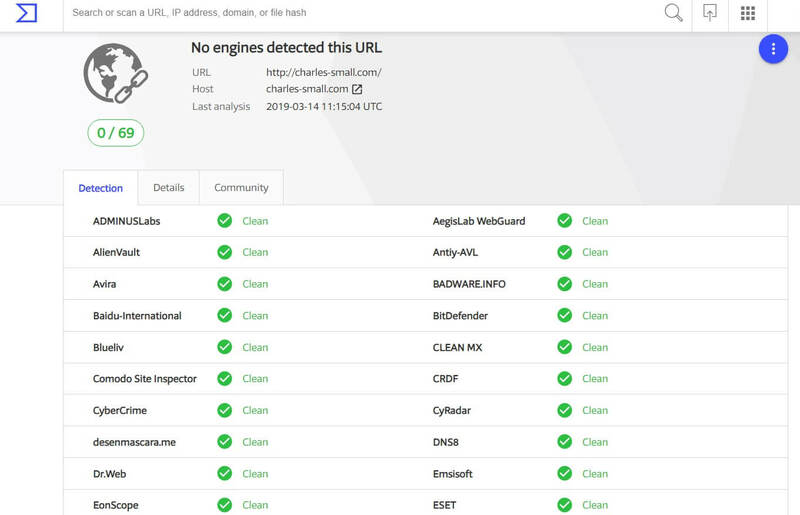 Combo Cleaner is a powerful malware removal tool designed to help users with in-depth system security analysis, detection and removal of threats such as .NamPoHyu files virus. Step 5: In the Applications menu, look for any suspicious app or an app with a name, similar or identical to .NamPoHyu files virus. If you find it, right-click on the app and select “Move to Trash”. Step 6: Select Accounts, after which click on the Login Items preference. Your Mac will then show you a list of items that start automatically when you log in. Look for any suspicious apps identical or similar to .NamPoHyu files virus. Check the app you want to stop from running automatically and then select on the Minus (“–“) icon to hide it. Remove .NamPoHyu files virus – related extensions from your Mac’s browsers. A pop-up window will appear asking for confirmation to uninstall the extension. Select ‘Uninstall’ again, and the .NamPoHyu files virus will be removed. When you are facing problems on your Mac as a result of unwanted scripts and programs such as .NamPoHyu files virus, the recommended way of eliminating the threat is by using an anti-malware program. Combo Cleaner offers advanced security features along with other modules that will improve your Mac’s security and protect it in the future. Hey !, I found this information for you: "Remove NamPoHyu Virus". Here is the website link: https://sensorstechforum.com/remove-nampohyu-virus/. Thank you.